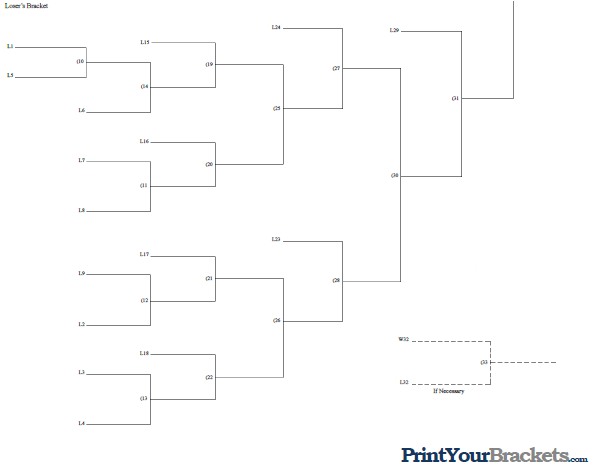 Below you will find 2 different versions of our 17 Team Seeded Double Elimination Bracket. The first file has the entire bracket on one page. The second bracket has the winner's bracket and loser's bracket on separate pages. If you click "Edit Title" you will be able to edit the heading before printing. 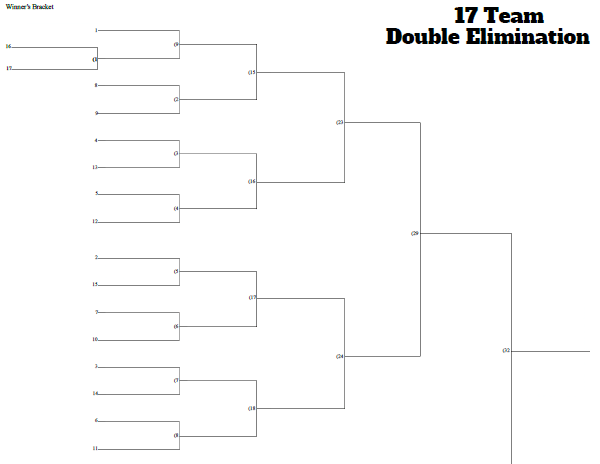 If you want to type in team names check out our Fillable 17 Team Double Elimination Bracket.